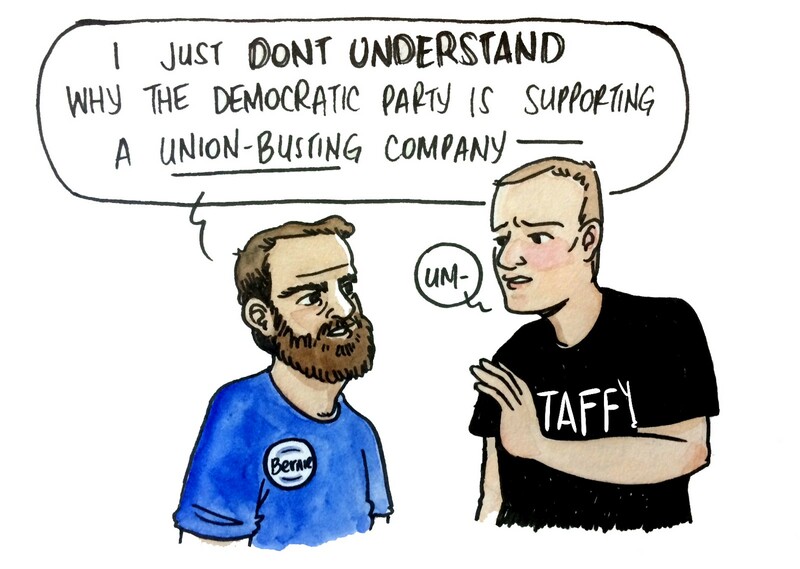 An exclusive sponsorship deal with the DNC frayed Uber’s logistics, riled critics, and almost convinced me of the benefits of free-market capitalism. and we soon discovered why. Uber had reportedly struck a deal with the DNC that it had also offered the Republicans in Cleveland: In exchange for free rides for VIPs, Uber and its customers would receive privileged access to a semi-secure rideshare purgatory by police lines outside the convention center. Other car services were ostensibly allowed to come and go as well, but in practice the access was far more contentious, with some Uber staffers blocking access points and turning away non-Uber cars. 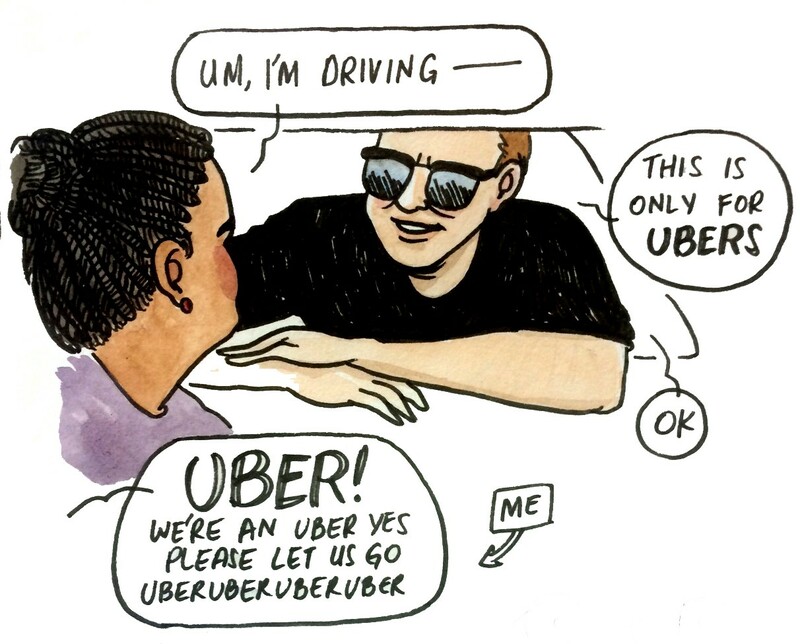 Free market Republicans rejected the Uber monopoly, but the Dems were down. The convention not only provided a market opportunity for Uber, but a convenient political one as well. The company had faced legal opposition and stiff fines in Philadelphia ahead of the convention, but a generous offer of logistical support to a city about to be inundated with tens of thousands of road-clogging visitors could do a lot to repair a bumpy relationship. But this was before the storm hit. — until Keegan arrived and quickly informed us that he really, really needed to pee. He’d been driving since 6 a.m. that day, he said, and planned to be on the road until 4 a.m. every day of the convention. Uber spokesperson Craig Ewer and other Uber drivers refuted Keegan’s claims, but Philadelphia Limousine Association president Ali Razak wasn’t necessarily surprised by them. 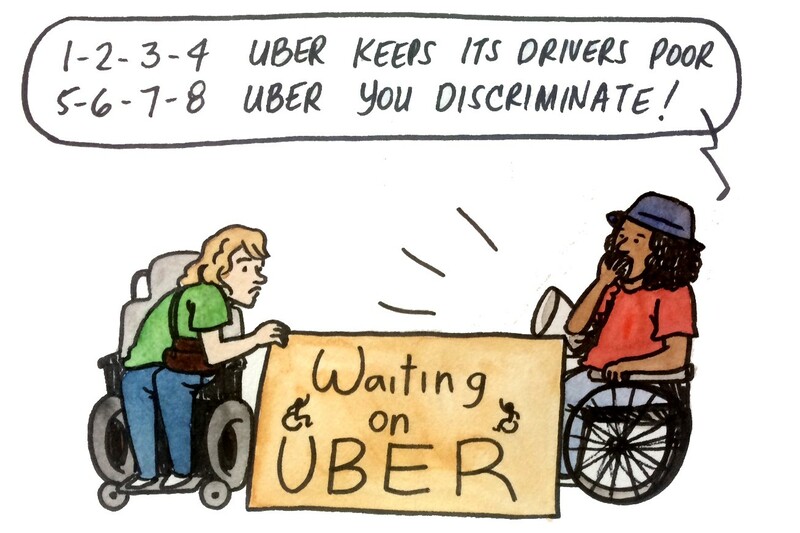 That night, Uber had a more vexing logistical problem to solve at its hotel party for convention delegates: A picket line of disability rights activists, cab drivers, and former Uber drivers who said they’d been left with subprime loans on Uber cars after the company deactivated them. 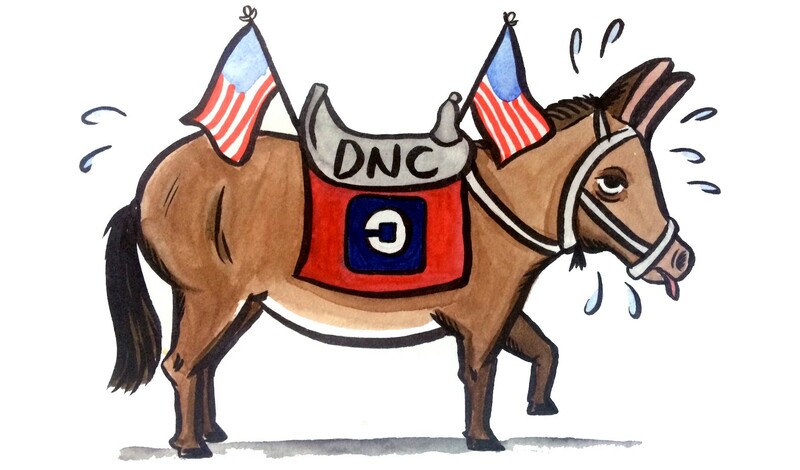 Uber may have viewed its deal with the DNC as a corporate sponsorship on par with putting Coke products in the convention vending machines over Pepsi, and perhaps the DNC did as well. 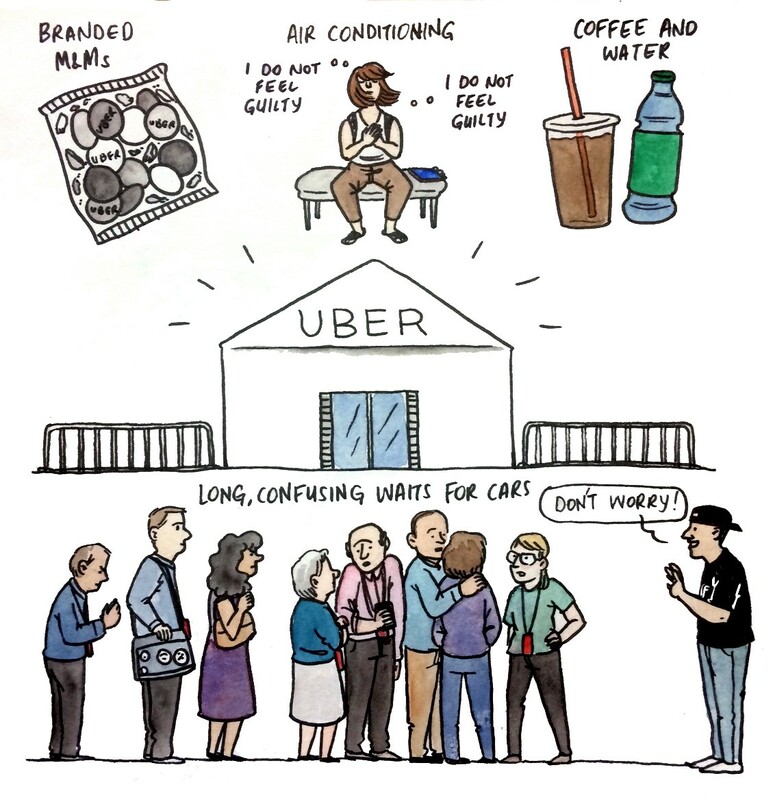 But as much as they might’ve desired convenience and free coffee, it was clear by day two that Uber had miscalculated the liberals’ priorities and values. 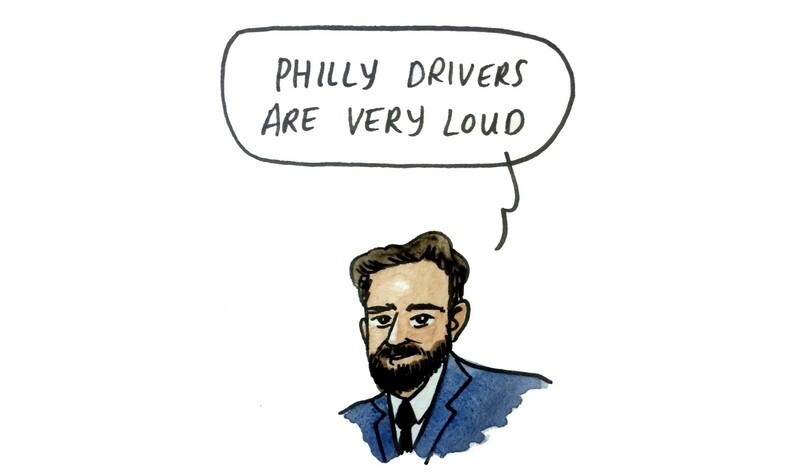 Later that night, we saw a Philadelphia emergency services vehicle with a lit-up Uber dashboard sign. 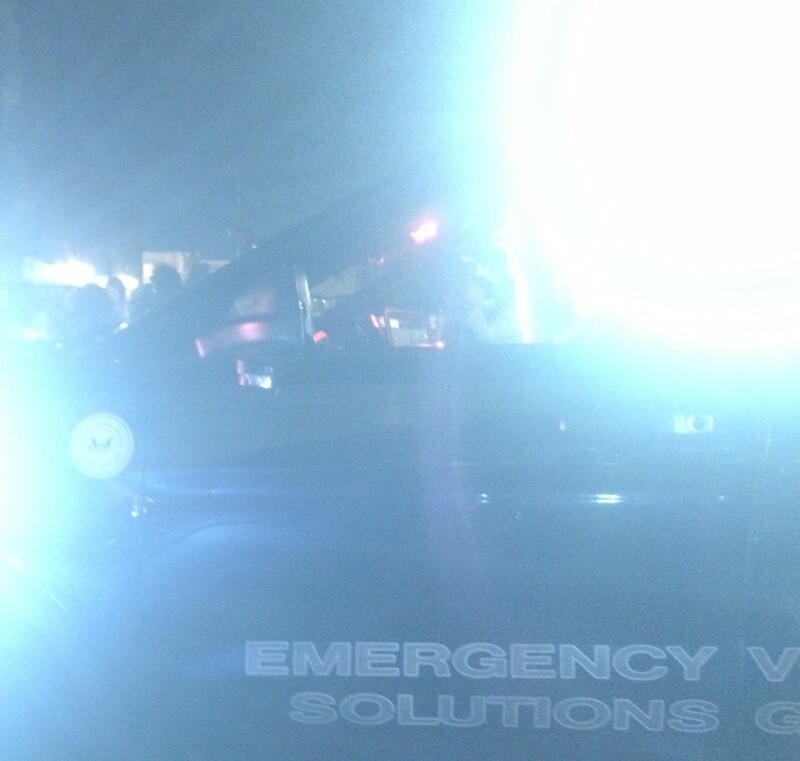 When it stopped to drop passengers at a Planned Parenthood party, I tried to take a photo, but the driver flashed a light in my face. At week’s end, I called a cab to take me to the airport. After waiting 23 minutes, I gave up and turned on the Uber app. Charles arrived, looking weary. A lifelong Philadelphia resident, he said he’d only gotten one ride in two hours from the convention center the night before, which would leave him shy of earning the guaranteed payments Uber offered drivers during convention week if they picked up one ride per hour. He said he’d been driving all night to try to make up for his losses, he wasn’t sure about his future with Uber, and he didn’t know who he’d be voting for after the chaos of this week had subsided.